Crabs have a lot going for them. Everyone loves them, especially children – right. There are not many species on our shore so it is easy to know enough about them to impress - wrong. There are more than you think and identifying them calls for knowledge and application. 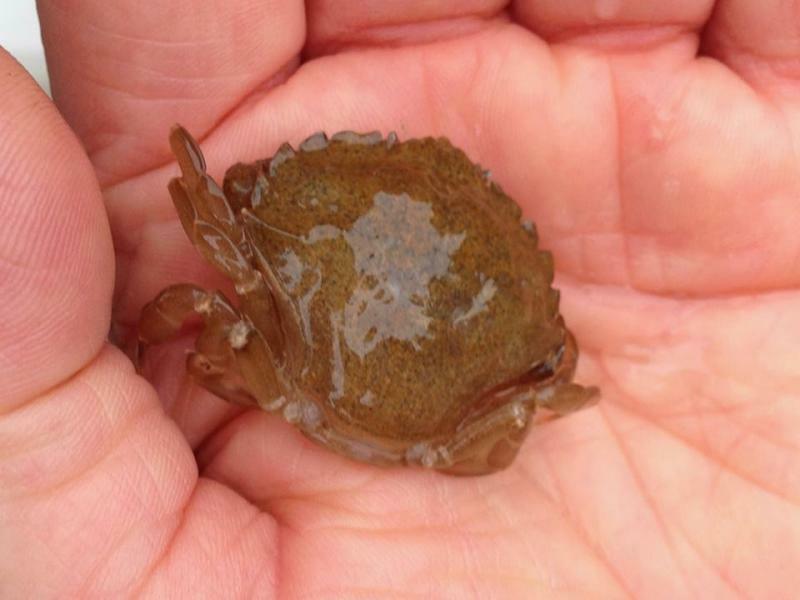 These were key lessons I took from the hugely enjoyable AONB Coastal Creatures Crab workshop led by Jack Sewell from Plymouth Marine Biology Association at Lee Bay on 20 October. 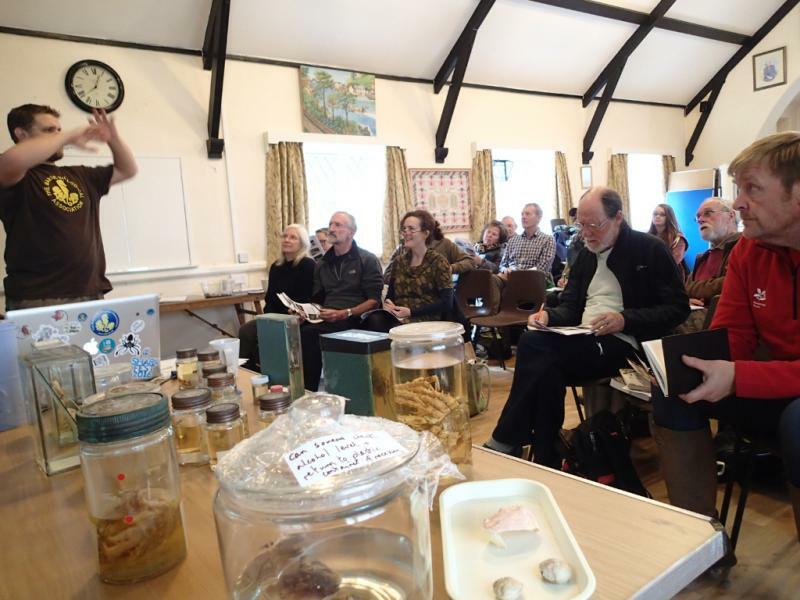 Thanks to AONB Cat Oliver’s usual excellent organisation, 25 of us, many from Coastwise, attended a masterclass in crab biology and identification from expert Jack, crab validator for the irecord database. His beautifully illustrated presentation, accompanied by some fascinating preserved specimens, was followed by a couple of hours on the shore culminating in a great find. Ione Willcock, from Exmoor National Park, spotted a strange lump in the sand and equipped with her new knowledge investigated it further. Jack recognised it as the elusive Xaiva biguttata we had all be seeking, the first UK found in the UK for 60 years had been identified by him at Lee only a few weeks earlier. Jay Nicholson included a photo on Facebook and challenged Coastwise to look for the others that could well be there. We will do our best equipped with our Workshop notes and trusty Collins Field Guides, referring as necessary to the plethora of Workshop recommended print and online resources – with regrettably limited recourse to the best of all – Plymouth-based Jack himself.